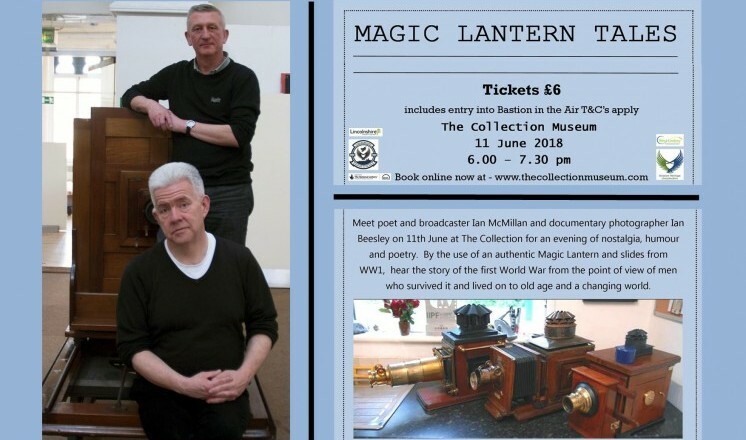 Using a genuine magic lantern projector, poet & broadcaster Ian McMillan and documentary photographer Ian Beesley tell a story of the First World War from the point of view of men who survived it and lived on to old age and a changing world. Here too are the tales of women who worked in the factories that oiled the wheels of war. The second half finds Ian & Ian exploring the subjects of magic lantern shows - from the natural world to engineering and from local novelties to the far-flung corners of Empire - with plenty of knockabout humour and improvisation along the way!